Following Lexus Australia’s record-breaking sales momentum of the past year, the site launch is another progressive step forward in putting the brand ahead of its competitors. The project, which began 12 months ago, had the following objectives: share the luxury lifestyle story of a Lexus owner, build and price a Lexus efficiently online and interact with the appropriate dealer near a buyer’s location. In order to achieve this, IE Digital was engaged to partner with Lexus Australia on the journey of uplifting and creating a customer-first, industry-leading technical platform. Across Sydney and Melbourne, and using IE’s advanced agile practices, the combined Lexus and IE team delivered a market-leading product that exceeded the business’ expectations. The now fully responsive site allows users to surface content on any device – optimised to resolution – and includes a beautiful design that seamlessly allows the buyer to book a test drive. The ‘build and price’ section, incredibly complex from the back-end and clean on the front-end, enables the buyer to choose from more than 700 variables, engine variants, enhancement packs, and paint and trim, in real time. This section has seen the most noticeable increase in traffic since launch, with usage growing 61 per cent from the previous month and more than 7,000 users building and pricing a new Lexus. Sitecore, the selected platform for the entire business, is now the consolidated platform for Lexus.com.au. Through the enterprise-level functions available, every dealer now has their own site which mimics the core Lexus site. Each dealer can create unique content, personalise the experience based on location and live chat with buyers while they are on site. 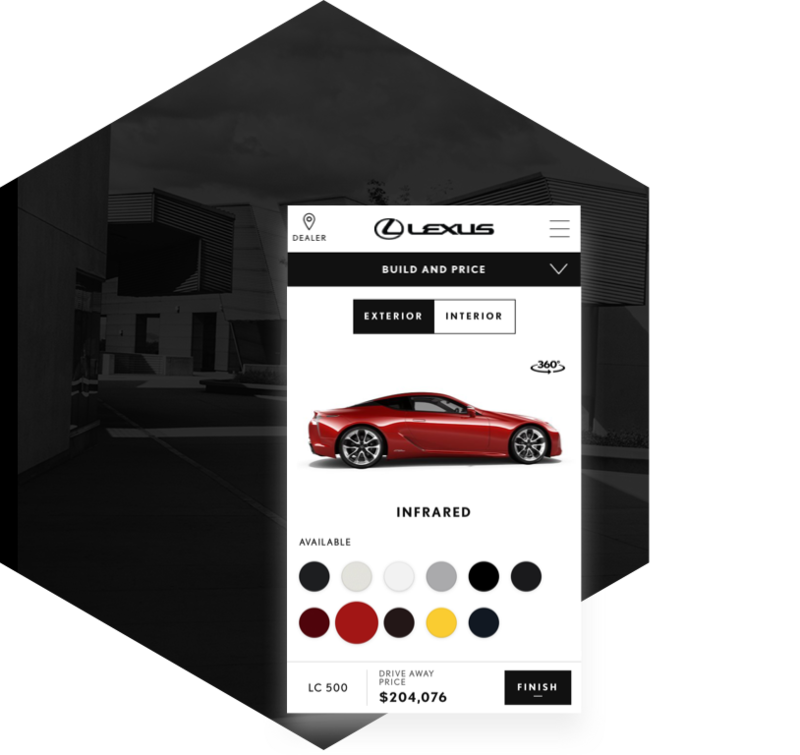 “Our customers will engage in a mobile driven experience that exceeds expectations following the launch of the new Lexus.com.au on Sitecore. Given our commitment to creating amazing experiences for our customers, which is shared with IE, the launch is a significant achievement and cause for celebration for both teams. Lexus’ bold vision for the future will be enriched by this new site and with that brings exciting possibilities for ongoing innovation."